Started in November of 2006, PureVPN originally began as an experiment in online security against data thieves. It also targets regions of the world where the internet is censored and access to various internet services and websites was restricted. With its success, GZ Systems Ltd., located in Hong Kong, rolled out comprehensive PureVPN global services in 2007. PureVPN focuses on freedom, choice of connectivity, and quality. Service allows for users in a variety of countries to connect without limitations as they switch between locations. 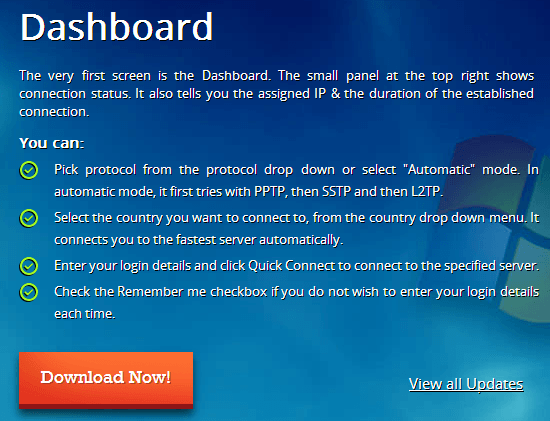 PureVPN provides OpenVPN, PPTP, SSTP, IKeV2 and L2TP/IPSEC VPN services. These services provide effective and simple methods for adding security and privacy to internet usage. PureVPN provides services compatible with Skype and other VOIP software. They can prevent harassment caused by people tracking your IP address. In this way and others, they provide a layer of anonymity and security. Also, they allow the user to redefine firewall rules, which allows the user to access country-specific online content. PureVPN allows an encrypted and safe method for connecting computers to the internet. If you get annoyed by your ISP capping the speed of online traffic, PureVPN can help with that. Also, PureVPN has servers in the United States, United Kingdom, Canada, France, Australia, Russia, Luxembourg, Singapore, Romania, Switzerland, the Netherlands, Panama, Turkey, Sweden, Malaysia, Ireland, and Germany. This makes it so they can assign your computer a new IP address in any of these countries. PureVPN’s Personal VPN essentially only has one plan that varies based on how long of a commitment you make. As of the writing of this review, a one-month plan runs for $10.95, a yearly plan is $4.91/month, and a two-year plan is $2.87/month. Split tunneling to save bandwidth and manage internet traffic at the same time. Fast server selection from around the world automatically located based on your usage and location. Well-managed and easy-to-use apps for Windows, Mac, iOS and Android. SSTP, PPTP, Open, IKEv2 and L2TP/IPSec VPN protocols and up to 256-bit encrypted connections. 3 days money back guarantee if not satisfied. 24/7/365 friendly customer support available. Corporations would want to use PureVPN for a variety of reasons. Using a VPN helps organizations gain greater anonymity against online harassment and security against hacking. PureVPN provides businesses with the ability to limit access to network resources via only a few public IPs, rather than insecure networks that may be wide open. If you have employees working overseas and you do not want to reveal where they are working, PureVPN can help with that. They can also help avoid geo-targeting blockade in the employees’ host countries to give internet access similar to that of the home country. Companies can customize internet access restrictions on employees by setting custom firewall rules. 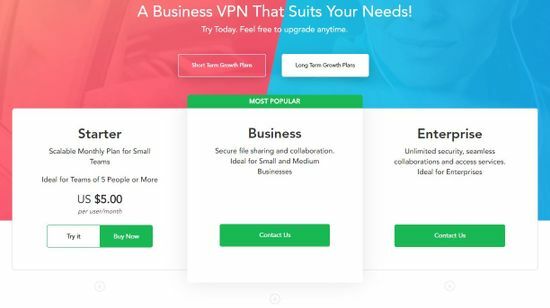 The Corporate VPN plan includes all of the benefits of the Personal VPN plan with the addition of other features. Each company gets a dedicated server set up specifically for their use. The Corporate VPN plan supports PPTP, L2TP IPSEC, and SSL/SSTP protocols. This works from anywhere in the world: it does not matter where the business is based or where the employees are located. There are also unrestricted speeds with 10,000 GB of bandwidth per month. 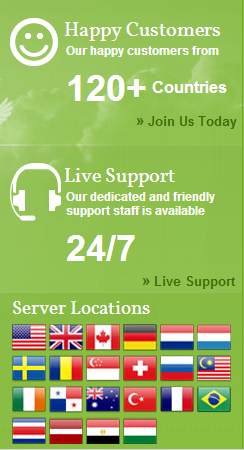 PureVPN offers customer service 24 hours a day, seven days per week, every day of the year. They have a variety of different ways you can contact them. There is a live chat. Users can also submit help desk tickets. There is also an extensive FAQ, knowledgebase, and discussion forum. I took advantage of both the live chat and the help desk system. To properly test the live chat, I contacted them at four in the morning Hong Kong time (where PureVPN’s corporate offices are). They were very responsive and did not want to get off the chat until they were completely sure I was comfortable with their answer and understood what was going on. The help desk ticket was also answered within half an hour with documentation for where the information came from. PureVPN also have an active social media presence and is available via email. I was not able to find a number for calling them on their website. I generally do not care to talk on the phone, and it is kind of hard to share links and screen shots over the phone, but it is a nice option to have available. To review PureVPN, I just went with a one month Personal VPN plan. The “buy now” link delivered me to the section where I could choose which contract length I wanted. There is also the option to get a fixed IP address in the US, UK, Canada, or Germany for an additional $4.99 per month. I declined. Next, one must register using their name, email address, pick a password, and select a payment method. PureVPN pretty much accepts every form of online payment. Once I check out and paid, I received a welcome email and receipt. This email also said that I may have to wait up to 24 hours for my login details to arrive. Within fifteen minutes, there was an email asking me to send a government document proving my identity. This made me feel fairly uneasy, and it seemed like an unnecessary step. I went ahead with the process anyway because PureVPN is a trusted service provider. The first step was to download the dedicated connectivity software. This downloaded an installation file. After running the .dmg file, I was prompted to put the PureVPN software in my Applications folder. Once there, I opened it up to a dashboard unlike other VPN clients. The dashboard asked for the username and password supplied in the login email. You only have to do this once thanks to a remember me option. I then chose a country and protocol. I chose the UK and PPTP and went to connect but was thwarted by a needed Helper Tool installation. This was a quick installation, and we were soon back on track. I ran a couple tests and confirmed that I was able to access region-specific content and that I had a UK IP address. Testing for other countries and other protocols was also successful. PureVPN’s dashboard functions go beyond what other VPN providers offer. There is a Server Selection Tool that allows you to choose servers based on what you want to do. Using the settings page, you can decide how you want PureVPN to operate upon computer start up. You can also submit help desk tickets directly from the interface. PureVPN had amazing download performance. I tested out a variety of connections using different protocols and countries. My normal base download speed is 26 Mbps, and this speed remained relatively unchanged no matter where I tested it from. PureVPN did not slow my speed. I was extremely impressed with how PureVPN worked. The staff there is clearly talented and put a lot of work into the program. PureVPN is definitely one of the best VPN solutions I have ever used. Everything is thought through all the way to the end user. There are high quality screen shot tutorials that clearly explain how to do everything. I did not need these because the whole process was simple enough for even me to understand. It made me a little uneasy that PureVPN has a “zero logging” policy. I also unfortunately was not able to test out the Corporate VPN plans because that was a little outside of the scope of what I could do with my resources. 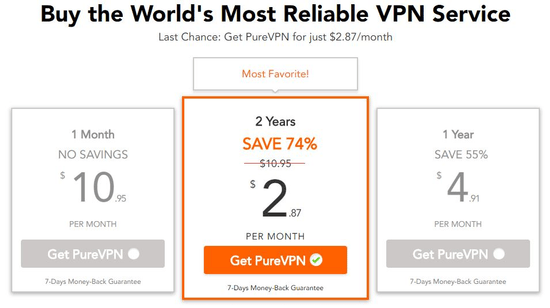 PureVPN’s prices are competitive with other VPN services, which is impressive for how great of a job it does. I highly recommend PureVPN to everyone, whether they are looking for VPN solutions or not!